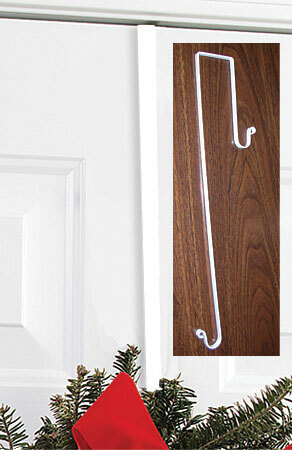 Fits Door thickness up to and including 1 3/4"
The white wreath hanger, holder, is created of wrought iron and has a baked-on white powder coating to provide the maximum resistance to moisture for indoor and outdoor use. Save $2.50 per item when purchased with any of our other wrought iron wreath hangers. This American made wrought iron wreath hanger, holder, is handcrafted in Fabius, New York, by Village Wrought Iron.